Finding Our First Home was a Great Experience with Nick! "Nick was great and very helpful. He listened to and understood our needs, and was very thorough. Each house he showed us next took into account the positives and negatives we found with houses that came before. He was also extremely patient as we made our decision. My favorite part about our experience, though, was how he didn't pressure or try to sway us in any way. He truly let us make the best choice for our situation and acted as our guide in our first home buying experience as newlyweds. I would definitely recommend Nick to any friend or family member looking to make their home purchase." First Time Home Buyer Success! "I was a first time home buyer and did not have too much knowledge on purchasing a house. Nicholas guided me through the steps making my experience not only easy, but enjoyable. 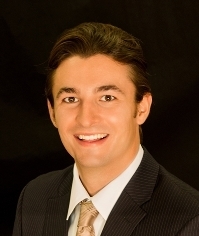 I would highly recommend Nicholas Schultz to any home buyer." Helped Me Every Step of the Way to Find My New Home! "Worked around MY schedule to make sure everything I could of asked for in the home buying process was excellent. Was always available to answer any questions I had, was truly helpful every step of the way!" I Love My New Place Thanks to Nick! "Nick was a pleasure to work with! He was always there when I needed him and was extremely knowledgeable about the area I was looking to buy in. He would meet me wherever to look at new houses on the market and made the entire home buying experience easier. So glad he helped me! I love my new place!" I Love Working With Nick! "Although I haven't purchase my house yet Nick has been extremely helpful with assisting me search and find the right property for me due to my specific requests and needs!" "It was a pleasure working with Nick. His expertise and skill is far beyond that of a 2 year realtor. Nick listened to what we wanted in a house and noted characteristics that even we didn't to help find the right house. When walking through houses Nick was able to point out important considerations that helped in the decision making process. He was able to give us points for negotiation that helped get us the best deal possible. His knowledge of the real estate market was impressive. I would highly recommend Nick to anyone looking to buy a home in the west Metro Detroit area. Knowledgeable, Motivated and Easy to Work With Professional! "When purchasing my first investment property Nick's assistance was vital. Without him there is no way I would have made it to closing on such a great investment property. He is a knowledgeable, motivated, and easy to work with professional that everyone would enjoy working with." "Attentive, personal, dependable, and prompt. A true professional at his craft. After having a horrible experience with a veteran realtor of 25 yrs, I decided to give Nick a try. One of the best decisions I've ever made. His energy, along with his go better approach made the finding of my new home easy and painless. I would recommend Nick to my family and friends."